Fly fishing in Scotland has become extremely popular in recent years, perhaps because it can be enjoyed in some of the most beautiful and peaceful surroundings. Fishing prices can vary from region to region. For example, you’ll likely find Dumfries and the Scottish Borders cheap in comparison to the River Spey, River Tay and River Tweed. The Scottish Highlands is also good value for fishing, with low permit costs, and the great angling experience you will get in return. There’s plenty of good coarse fishing here, but it’s really the fly fishing that attracts most people. For the wonders of river, loch and sea fishing, you need look no further than Scotland. 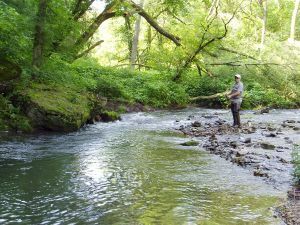 Normal methods of angling include fly fishing and spinning, and bait fishing is permitted only at certain times of the season. Bait can consist of worms, maggots or dead bait, but please note that ‘live’ course fish bait is not permitted. On the west coast you will find hundreds of small spate rivers, streams and lochs, while in the east you’ll find the salmon rivers. 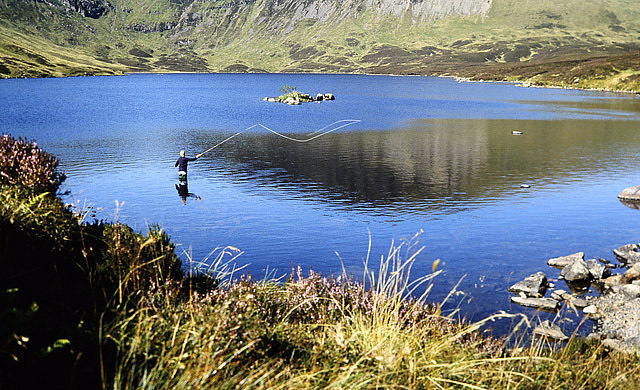 If you go a bit further north to Caithness and Sutherland, there are numerous good fishing lochs, streams and rivers. Staying in the central belt, Edinburgh and Glasgow also offer some good lochs, and rivers, like the Clyde. If you’re after salmon or sea trout you should check with the local venue as running times and seasons vary considerably, but rest assured that somewhere in the country there is good sport available almost any time of year. With a variety of rivers to choose from, the seasons and “best times” vary over the length and breadth of the land. REGIONAL INFORMATION FOR FISHING IN SCOTLAND…. Fly fishing in Scotland has grown in popularity, and is now almost an obsession for keen fishermen and women. For a guide to fly fishing, ideally you want one that covers both the basics and advanced techniques. It’s been argued there is no one way to fly fish right or wrong. It takes practice and persistence, but when you take it up you’ll get recreational & therapeutic values. Fly fishing is not complicated, but you’ll get better if you have expert guidance. Finding a guide is a huge undertaking and there are lots of informational books and websites offering help. In the sport of fly fishing, the word “guide” can mean either a printed guide to teach you how to fly fish, or a personal guide to show you the best places to fish. A good personal guide is one that will teach you basic casting, how to pick a fly rod, and where to look for the best fish. A good guide book will teach you rather than lead you, and when you have learned how to do things, you will become a better sports person. We have many lodges that offer the services of fishing guides when you book a cabin or vacation with them. These guides are valuable resources when you are on a fly fishing trip. They are included in the price of your stay, and they often know certain nuances of the area that no one else does. It’s advisable to take advantage of such a guide. 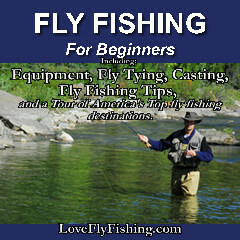 A printed guide to fly fishing will offer you information about even the most basic of techniques. They can also guide you towards some of the best destinations to make any fishing trip a success. Whether looking for a personal fishing guide or a printed guide, consider your options before buying or booking. Fly fishing guides can be the difference between having a good trip and having a great fishing in Scotland trip.